that was adapted in the twentieth century for the interpretation of Indian classical music. 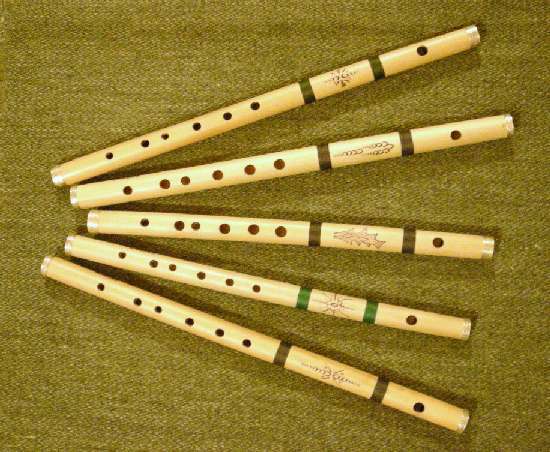 The Bansuri can have six or seven holes. These flutes produce its fundamental note, the closing three holes above. 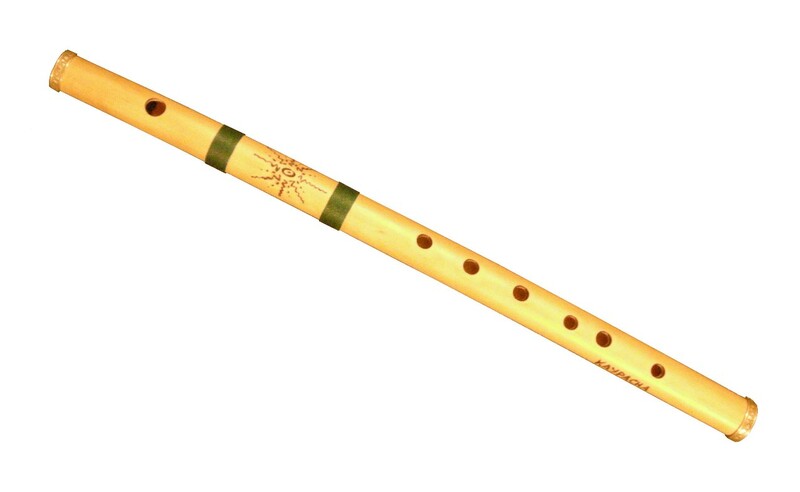 The bamboo used for this instrument is very thin thickness and light. We reinforced the ends with metal rings.
. We build it from bamboo and also from PVC. 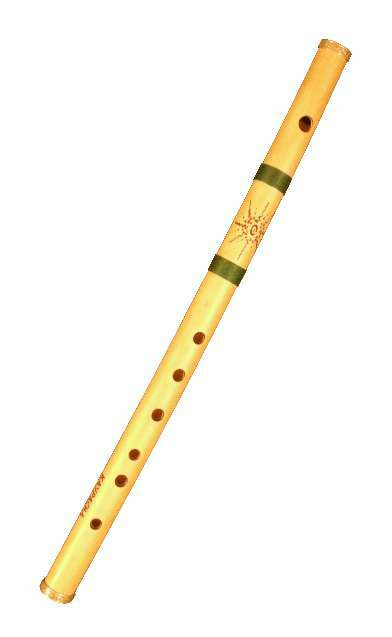 This instrument is a bamboo flute that is born in northern India, is built of bamboo knotless medium thickness and very thin and lightweight. 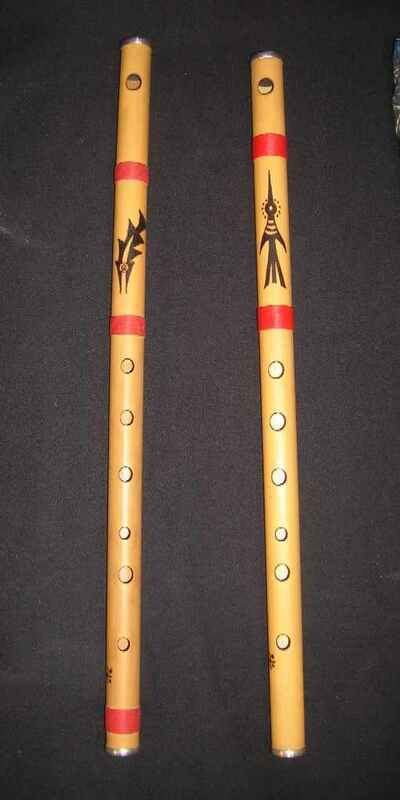 Bansuri originally had just 6 holes but in the last century Pannalal Ghosh said the new Bansuri seventh hole at the end to add a note and a few more ornaments in Indian classical music but was used previously only for the Indian folk music. Has a record of about 3 octaves. 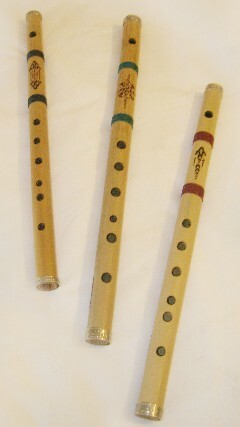 The tone of the instrument is achieved by covering only 3 holes. It does not cover the holes with your fingertips, if not the middle finger to achieve a relaxed position of the same, ie, fingers covered with rings single fingertip, the rest of the fingers with the middle finger being fully stretched, this provides greater opportunity to plug a hole and flexibility in half the typical ornaments. 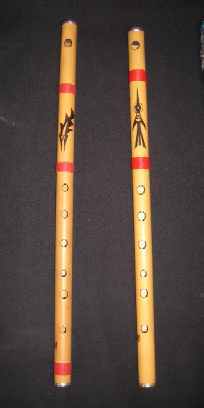 There are two types of systems of North India and Carnático the Bansuri for folk and classical music uses the Hindu system of North India and there are other types of Bansuris with 8 holes Carnático using the system. 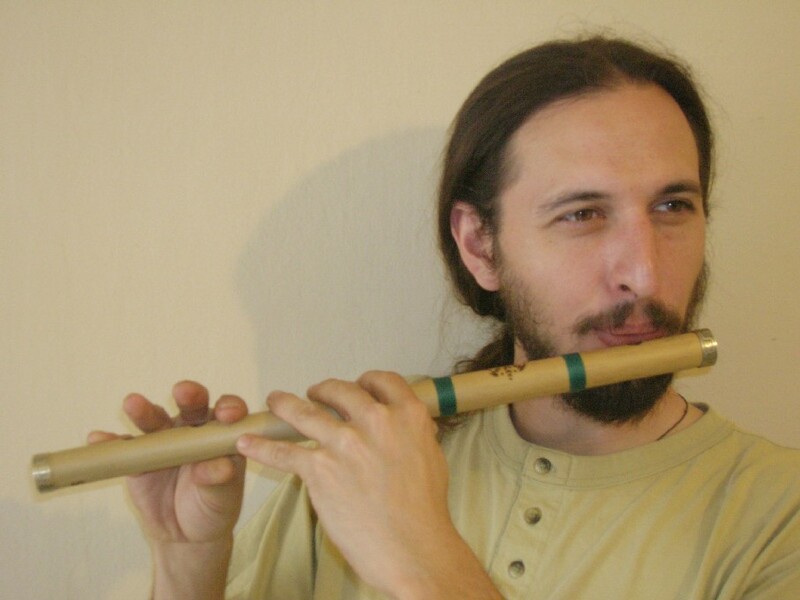 The Bansuri is of particular importance in India because of its association with Krishna. Some flutists Hindus worldwide most recognized are: Pandit Pannalal Ghosh, Hari Prasad Chaurasia, G. S. Sachdev, Raghunath Seth, among others. is available in our stock. Any inquiry for details of the same or purchase write us by CONTACT, Thank you.